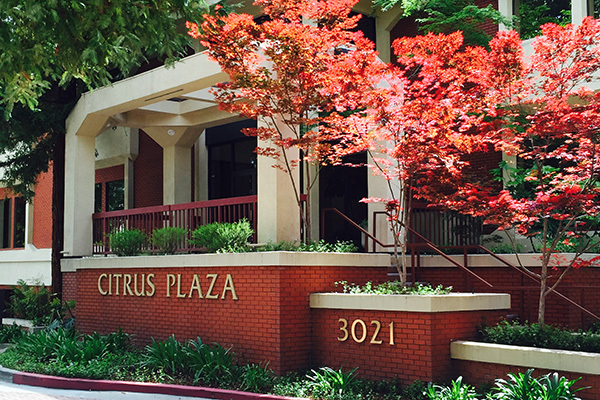 The Walnut Creek Office is in the Citrus Plaza building located on the corner of Ygnacio Valley Road and Oak Grove Road. To park at the building, take Oak Grove Road to Citrus Avenue then a quick right onto Citrus Circle. The third building on the right will be the Citrus Plaza building at 3021 Citrus Circle. Guest parking spaces are the first uncovered parking spots to the right of the building as you arrive. If the guest spots are taken, feel free to use an uncovered KMJLAW parking spot just past the guest parking and tree along the right side of the building. There is a yellow striped walkway leading directly to the elevator. We are located on the first floor in Suite 140. 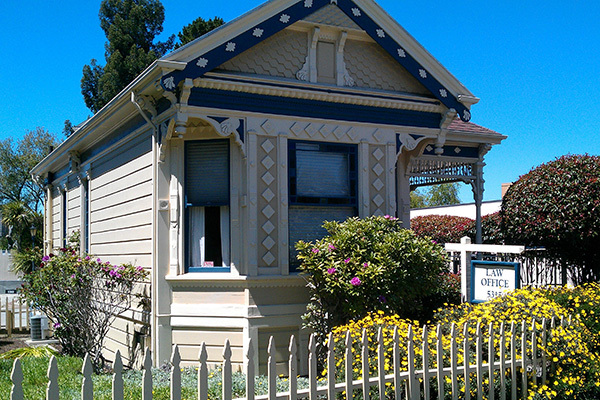 The Oakland Rockridge Office is located at 5315 College Avenue in Oakland (not Berkeley) between Manila and Broadway and directly across from the point at which Bryant Avenue angles in to meet College Avenue. The office is an unmistakably original 1880s Victorian cottage. If taking BART, it is a short walk south towards Oakland. If coming by car we suggest taking Highway 24 to the Broadway exit and turning right onto College Avenue from Broadway; the office will be a short one and a half blocks down on the left. Parking in Rockridge can be tight. If you call as you approach we may have a parking space available in the lot behind the office but that is unpredictable and unlikely. There is metered parking on College Avenue and unmetered parking in the surrounding neighborhood. Please be aware that there is a short flight of three to four steps to enter the office.